Ready to Rock @ Two Chefs Karon? Ready to Rock @ Two Chefs Karon?Ready to Rock @ Two Chefs Karon? Ready to ROCK OUT again Phuket?! 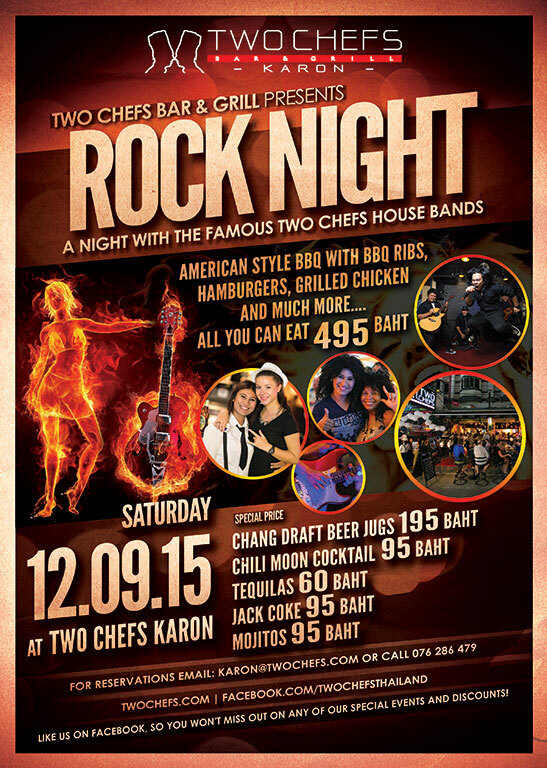 ROCK NIGHT at Two Chefs is back at Two Chefs Karon! DON’T MISS IT this Saturday 9/12/2015 from 6PM-LATE!